Posted in: Corporate Fascism, Kleptocracy. Tagged: aca, affordable care act, affordable healthcare act, anonymous, bushbamney, democrats, fascism, fascists, gop, health care, healthcare, kleptocracy, nfib v. sebelius, obama, obamacare, ows, republicans, revolution, romney, romneycare, scotus, sebelius, sensenbrenner, single payer, supreme court, universal health care, universal healthcare. Supreme Court ruling re “National Federation of Independent Business v. Sebelius” means corporations can use federal law to force people to buy their products. 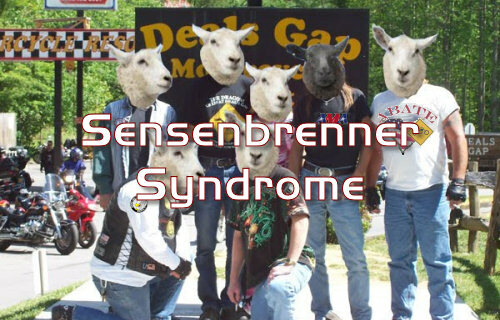 …and it’s a sad certainty that the vast majority of the American Sheeple (a) will never look up from their iPhones or away from their Fakebook pages long enough to read either the new “healthcare” rules or the ruling that proclaimed them “Constitutional” and (b) wouldn’t understand all the deliberately obfuscated legalspeak if they did. So where can Average Joe get the plain and simple truth about the “Affordable Healthcare Act (ACA)” and the Supreme Court’s “NFIB v. Sebelius (11-393)” ruling? ‘With the U.S. Supreme Court upholding the constitutionality of the Affordable Care Act on June 28, voters are guaranteed to continue hearing the same old false claims about the law from politicians. And President Barack Obama and presumptive GOP presidential nominee Mitt Romney wasted little time in taking to the airwaves to rehash plenty we’ve fact-checked before. 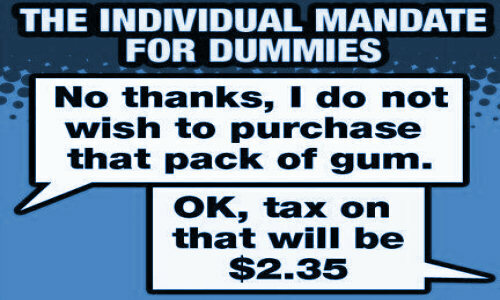 Obama even threw in a few new claims. Obama reiterated his “if you like your plan, you can keep your plan” refrain, despite the fact that at least a few million workers won’t keep their employer-sponsored plans, according to the Congressional Budget Office. The president also exaggerated the benefits of the law, such as the number of young adults who were able to join their parents’ plans, thanks to the law, and the number of individuals who will receive rebates issued by insurance companies that didn’t spend enough premium dollars on health care. Romney repeated a number of distortions, saying that the law would “cut Medicare” by $500 billion and that it “adds trillions to our deficits.” That’s a reduction in the future growth of Medicare spending over 10 years. And CBO says the law would reduce the deficit. Romney said the law is a “job-killer.” But CBO says the law would have a “small” impact on jobs, mainly affecting the amount of labor workers choose to supply. Those getting subsidies, for instance, might work less hours since they’re paying less for health care. As were “Citizens United v. FEC” (which allows global and even foreign corporations to buy our elections) and “AT&T Mobility v. Concepcion” (which makes consumer class actions against corporations infinitely more difficult), the SCOTUS “NFIB v. Sebelius” decision is a BIG WIN for corporations in general and health care and insurance companies in particular. Contrary to the claims of clueless Obamapologists from coast to coast, neither Obamacare nor this ruling “paves the way to Universal Healthcare Coverage”. Instead, they set the precedent for more individual mandates by which the corporations which control our politicians and through them our government can order us to order their products. REPUBLICANS AND DEMOCRATS: ALL PROBLEMS, NO SOLUTION. END TWO-PARTY TYRANNY: OUR SECOND REVOLUTION! Posted in: Corporate Fascism, Kleptocracy. 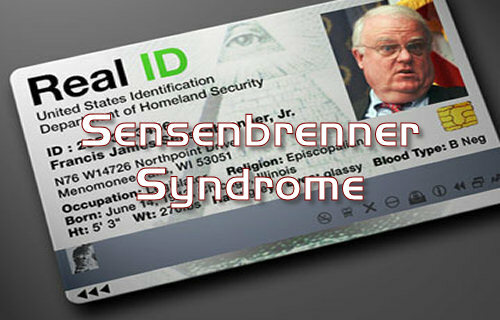 Tagged: 9-11, 9/11, anonymous, bikers, bikers rights, bush, bushbamney, democrats, fascism, fascists, gop, jim sensenbrenner, kleptocracy, motorcycle rights, motorcycles, motorcyclists, motorcyclists rights, obama, ows, patriot act, real id, republicans, revolution, romney, sensenbrenner, truth, usa patriot act. How can Bikers be “against totalitarian enactments” yet align themselves with the fascist “1%er” stooge who sponsored the most totalitarian act in U.S. history? 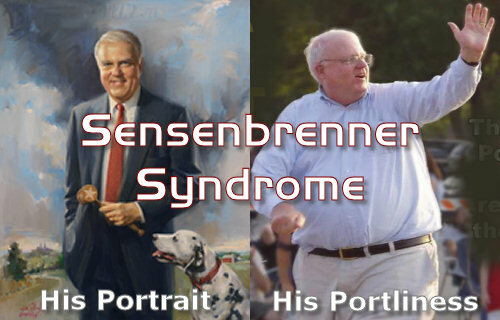 Wisconsin’s 9th Congressional District morphed into its 5th in 2003, but since 1979 and for almost a quarter century that district has been represented in Washington DC by the same silver spoon politician: United States Congressman F. James Sensenbrenner, Jr. This district is the home of almost 700,000 of Wisconsin’s wealthiest residents and two of Harley-Davidson’s primary motorcycle manufacturing facilities – H-D Powertrain Operations in Menomonee Falls, and the H-D Product Development Center in Wauwatosa. So despite the fact the he was an heir to the Kimberly Clark (Kotex) family fortune and born one-percenter – in Occupy Wall Street, not Hells Angels, terms – it certainly sounds like Fat Jim is a champion of democracy and a true defender of the freedoms and liberties cherished so dearly by our two-wheeled cowboys from coast to coast, right? So this chubby, lobby-funded frequent-flying fascist (labeled the little “dictator” by Rolling Stone’s Matt Taibbi) is who American motorcyclists expect to champion their rights in Washington, huh? How many fiscal conservatives voted for Bush Era Republicans while they were running up record deficits and wrecking our economy with unsustainable tax cuts and reckless deregulation? How many Koched-up Tea Party Patriots support those very same long-tenured corporate puppets today? And how many anti-war progressives that voted for “Change” in 2008 are willing to admit that their drone-happy Democratic President Bushbamney has expanded rather than shrunk the American War Machine overseas while doing nothing for the people back home than might alienate his Wall Street masters? Like Judge Napolitano, I ask: Where are the Jeffersonians? And where is the outrage? 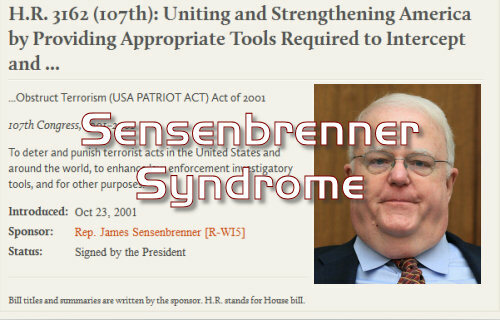 * HEREIN SENSENBRENNER ADMITS THE USA PATRIOT ACT WAS WRITTEN +++BEFORE+++ 9/11/2001. This document contains links shortened using http://tinyurl.com to facilitate emailing. If you are concerned that we would use them to cloak phishing or malware, you should open them with this: http://longurl.org. Also our thanks to the mobile web designs, mobile web designers and mobile web developers who support our efforts. 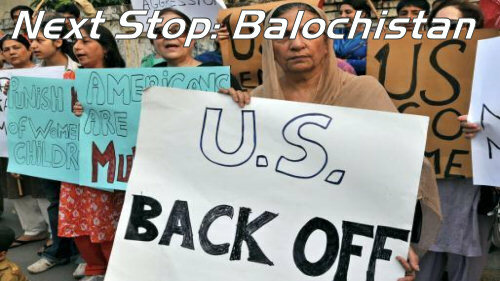 Balochistan: Next Stop In Corporate Fascist Amerika’s War-For-Profit Tour? Posted in: Corporate Fascism, Kleptocracy. Tagged: afghanistan, anonymous, balochistan, baluchistan, fascism, fascists, Iran, kleptocracy, ows, pakistan. Are the human rights issues raised over Baluchistan real or just another ruse and excuse for the U.S. to invade a former ally and install a puppet government? 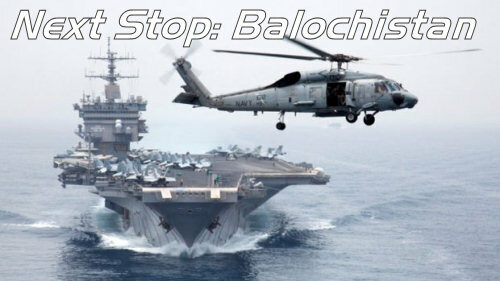 Having failed to strike a deal on NATO supply routes through Pakistan largely due to the killing of thousands of innocent civilians by Bushbamney-approved American military/CIA drone strikes, in violation of international law the United States has within the last week moved its nuclear-powered aircraft carrier USS Enterprise into Pakistani territorial waters within 70 nautical miles of the city of Gawadar in Balochistan. 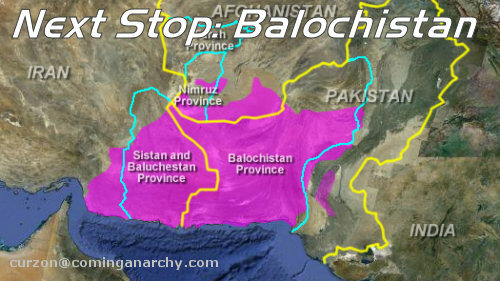 Modern maps show Balochistan (or Baluchistan) as a province of Pakistan. But historically, ethnically and tribally the “Land of the Baloch” is a mountainous region in the Iranian plateau of Southwest Asia that includes portions of the sovereign territories of not only Pakistan but also Afghanistan and Iran. This document contains links shortened using http://tinyurl.com to facilitate emailing. If you are concerned that we would use them to cloak phishing or malware, you should open them with this: http://longurl.org. Also our thanks to the web designs mobile, web designers mobile and web developers mobile who support our efforts. Posted in: Corporate Fascism, Kleptocracy. Tagged: bush, bushbamney, demopublicans, fascism, fascists, free trade agreement, fta, kleptocracy, nafta, new world order, obama, occupy wall street, ows, revolution, take peoples' power away, tpp, tppa, trans-pacific partnership, trans-pacific partnership agreement. Negotiated in secret but now exposed as a “corporate power tool of the 1%”, TPP grants powers to corporations that supersede all laws and rights of citizens. 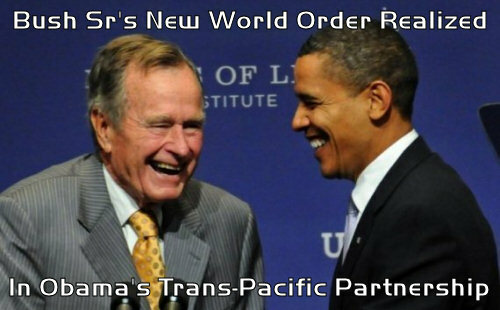 WHAT CAN YOU DO TO STOP TPP/TPPA, THE RISE OF CORPORATE FASCISM AND THE FALL OF DEMOCRACY? C. Re “A” and “B” above, keep in mind that the people you are appealing to are the corporate puppets and guilty parties responsible for the very wrongs you are trying to right, so don’t expect such impotent slacktivism to change anything. D. The problem is not Obama and the Democrats. The solution is not Romney and the Republicans. 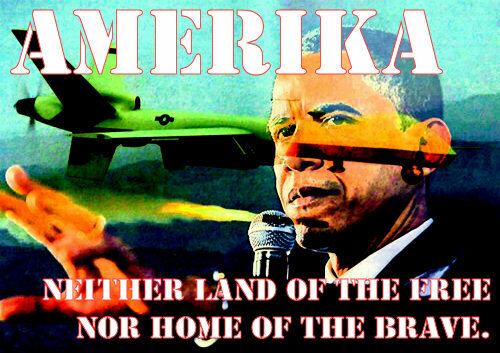 The problem is all of the corporate-controlled Democratic AND Republican politicians – including Obama AND Romney. The solution is REVOLUTION. This document contains links shortened using http://tinyurl.com to facilitate emailing. If you are concerned that we would use them to cloak phishing or malware, you should open them with this: http://longurl.org. Also our thanks to the miami web designs, miami web designers and miami web developers who support our efforts. Posted in: Corporate Fascism, Kleptocracy. Tagged: barack obama, bushbamney, fascism, fascists, gaza, indefinite detention, israel, kleptocracy, mahmoud al sarsak, mahmoud sarsak, medal of freedom, ndaa, ndaa 2012, nobel peace prize, occupy wall street, ows, palestine, sarsak, shimon peres, vvv pr, war crimes, war criminals. 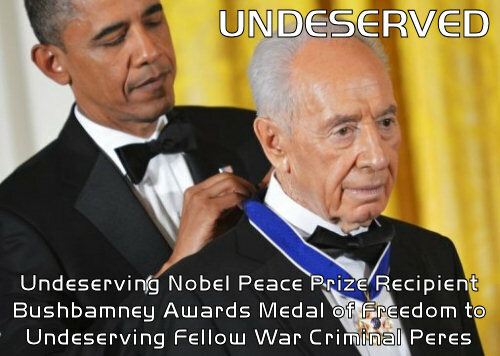 Undeserving Nobel Peace Prize recipient Obama awards Medal of Freedom to fellow war criminal Peres while soccer player Mahmoud Sarsak starves in Israeli jail. In a cruel twist of irony, Israeli President Shimon Peres was honored Wednesday night [6/13/2012] with the “Presidential Medal of Freedom” at a lavish White House feast while Mahmoud Sarsak, rising Palestinian soccer star, nears death by starvation. 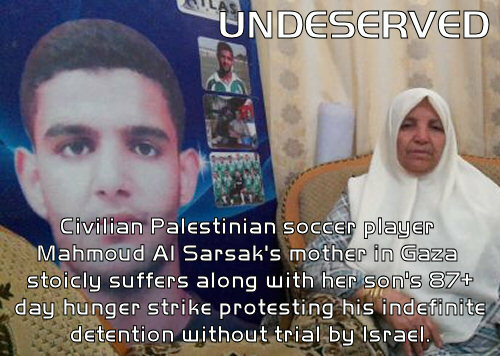 Sarsak is now on his 87th day of hunger strike to demand the basic human freedoms denied him by Peres’ government. To add insult to injury, Shimon Peres used this opportunity to present Obama with a petition to free an Israeli spy, Jonathan Pollard, who was caught leaking Pentagon secrets. Peres is a man of extensive military and even insurgent background, who adopted religious views more extreme than the rest of his community. Peres has been quoted as saying that, as a child in Poland, he smashed his parents’ radio because they were listening during Sabbath. He joined the Haganah at a young age, an armed Jewish militia responsible for massacres, mass displacement and other human rights abuses. After the establishment of the state of Israel, Peres was in charge of the government’s weapons dealing. He was a fierce advocate of settlement activity, especially in his early career. He has been Minister of state, defense, communication, transportation and immigrant absorption, Prime Minister and is currently President. In his political career he has overseen massacres, wars, occupation, discrimination, human rights abuses, the breaking of political treaties and spearheaded Israel’s nuclear proliferation. His government currently detains Mahmoud Sarsak and over 500 other Palestinian political prisoners without charge or trial, against international human rights law. According to his family, Mahmoud Sarsak had never cared about politics and spent all his waking moments thinking about and playing soccer. The Sarsaks are refugees from the city of Ashdod (approximately 20 miles south of Tel Aviv) but Mahmoud grew up in a refugee camp in southern Gaza. As a very young child, he excelled at playing soccer and by eleven he was already representing Palestine in the Youth Olympic Games in Tehran. He played on several teams including the Gaza Youth Sports Club and Rafah Sports Club. Due to the limited resources in the southern Gaza Strip, Sarsak moved to the north to play professionally. Soon outgrowing the Gazan league, Sarsak was selected to join one of the leading West Bank clubs. In 2009, he received the permits that Israel requires to go from one Palestinian territory to another and headed off to the West Bank to realize his dreams. Without any warning or explanation, Sarsak was arrested en route by the Israeli military. From his 2009 arrest until today, his peak athletic years have been wasted in Israeli jails. His detention under the vague “Unlawful Combatant” law [comparable to the indefinite detention provisions of NDAA 2012 as signed by Bushbamney on 12/31/2011] has been continually renewed without charge, trial or even allegation. Now he has spent almost three months in non-violent protest against the injustices leveled against him. Even if he survives his hunger strike, he will face many health issues that will prevent him from being a professional or possibly even recreational athlete. Hors d’oevres and trophies for the militant, starvation and death for the peaceful civilian athlete. What kind of message are we in America trying to send to the world by giving freedom medals to the violent, and depriving the non-violent of their freedom? Posted in: Corporate Fascism, Kleptocracy. Tagged: amerika, big brother, big lie, brainwashing, bushbamney, democrats, demopublicans, domestic propaganda, drones, fascism, fascists, freedom, h.r.4310, h.r.5736, hr 4310, hr 5736, hr4310, hr5736, indefinite detention, kleptocracy, laws, liberty, mind control, national defense authorization act, ndaa, ndaa 2012, ndaa 2013, occupy wall street, ows, prisons, psyops, psywar, republicans, sheeple, smith mundt modernization act, suicide, vvv pr.